A durable mix of polypropylene and nylon mean these gold-star tiles are always top of the class. Like the furrow-browed headmaster or the fearful boss who sets your heart racing as you hear their purposeful footsteps approaching ever closer, Velour Excel stands for no nonsense. Featuring a tough bitumen backing, these fibre-bonded tiles are equipped to deal with everything from unruly castor wheels and high footfall to general wear and tear. An extensive colour palette featuring 18 excellent shades allows for daring diversity in the design process or more subtle and classic finish. If you aren’t best pleased with your choice when it arrives, simply package the tiles back up and take full advantage of our 365 Returns. 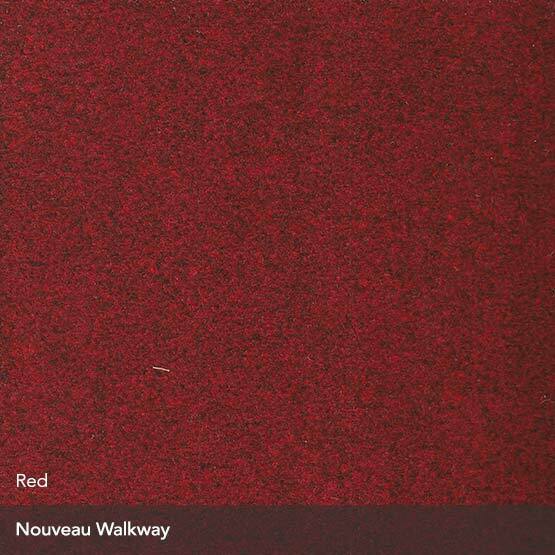 A fibre-bonded, needle-punch, velour construction and 100% polypropylene yarns mean these tiles stand strong against wear and tear so are the ideal choice for reception areas, doorways and entrances. Whether it’s Mandy from marketing in her shiny stilettos or Pete the delivery guy in his muddied boots, Walkway has got you covered. x Burmatex Velour Excel - Added to your basket.